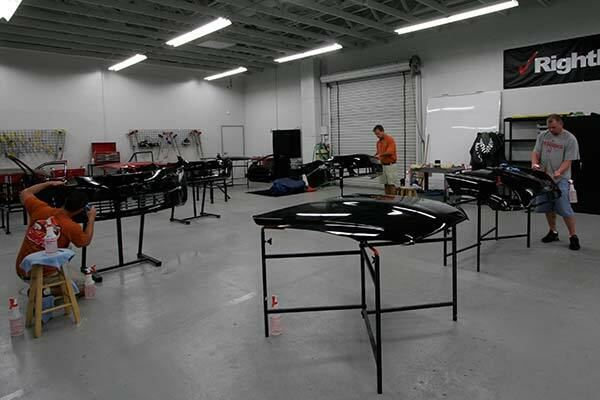 Rightlook.com makes it easy to get started in the high-margin, high-demand Clear Bra Paint Protection Film industry. Start by attending our comprehensive 3-day hands-on training program to learn the ins and out of the Paint Protection Film business. Learn how to use the custom software to cut Clear Bra film patterns with the Graphtec plotter, and learn proper installation techniques by working on actual vehicle parts. 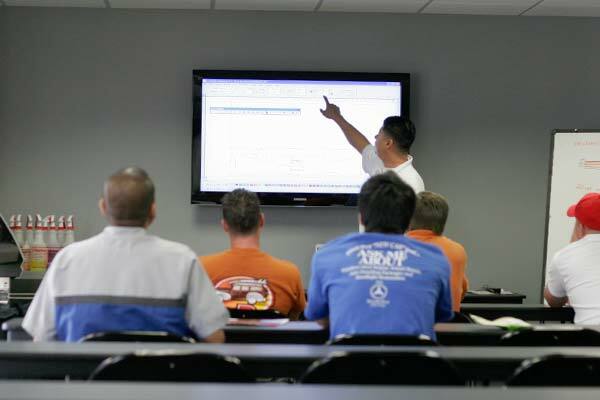 Call 800-883-3446 to learn more about Rightlook.com’s hands-on PPF training program, and to check availability for the next class. Paint Protection Film Students In Action! Rightlook.com Paint Protection Film students are learning money making skills. Purchase a Graphtec plotter, plotting software and state-of-the-art paint protection film so you can cut patterns for vehicles on your own. 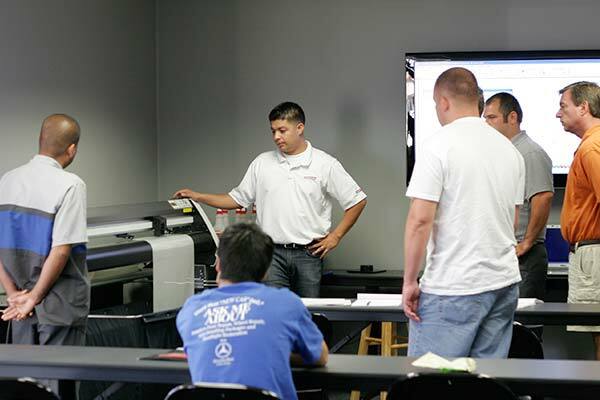 This option requires an initial expense of equipment and supplies, and some space to store the plotter. 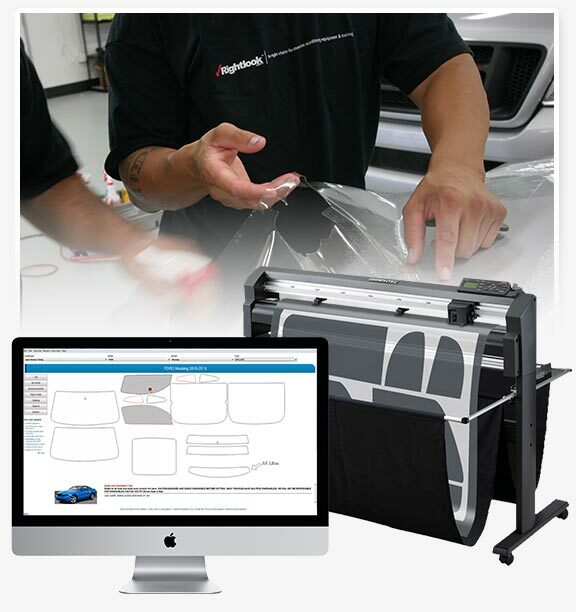 You may choose not to purchase a Clear Bra plotter and paint protection film and instead simply purchase pre-cut Clear Bra film patterns as you get business. This is the most affordable way to get started, as there are no out of pocket expenses for equipment and supplies, and no need to have a workspace to store your plotter. 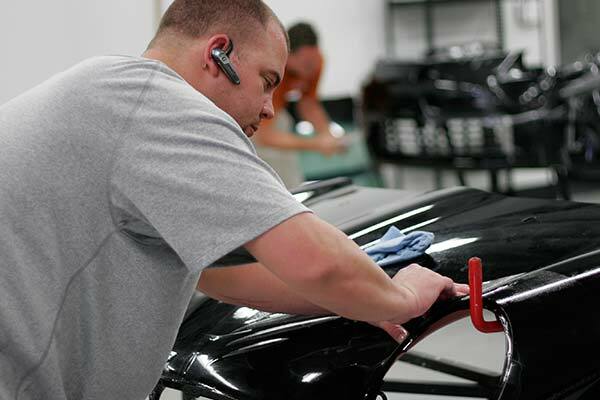 Clear Bra Paint Protection Film patterns are available for almost all late model vehicles.